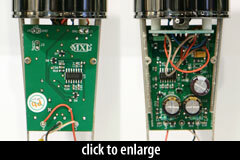 The mic’s capsule appears to be MXL’s standard small-diaphragm design, mounted on its side within a brass baffle ring (as is seen in the MCA SP-1 and MXL 990). The circuit is implemented primarily with surface-mount components and two integrated circuit chips. Three electrolytic capacitors are leaded, through-hole components; two of them are high-quality Nichicon Muse parts. 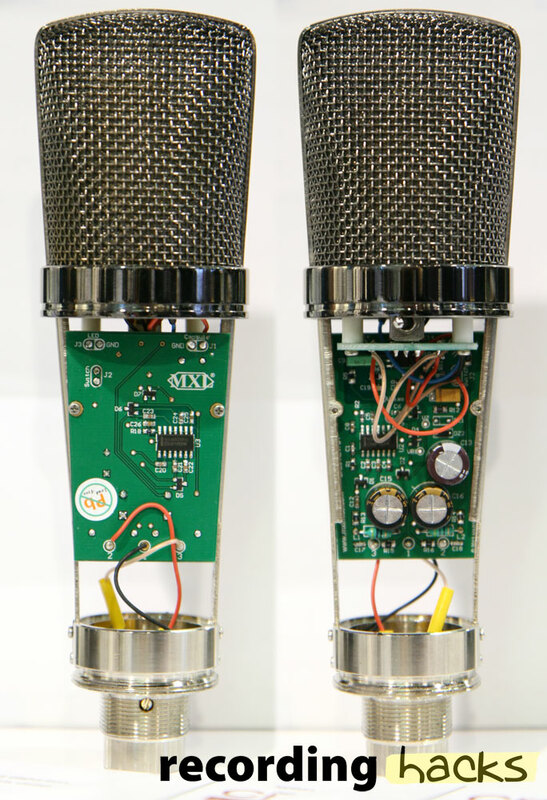 Readers might be reminded of MXL’s prior “Silicon Valve” mics, which were presented as providing tube warmth in a solid-state microphone. Both the M3 and V6 models were discontinued several years ago. The CR20 was announced at Winter NAMM 2014, with an expected shipping date in April 2014 at MSRP $125.